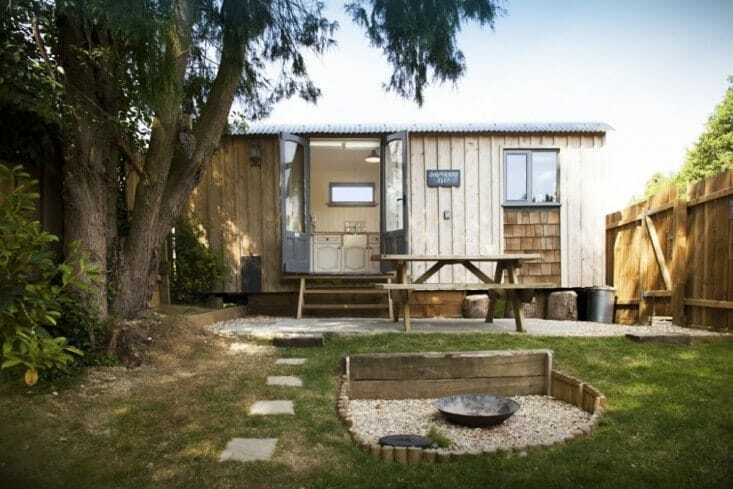 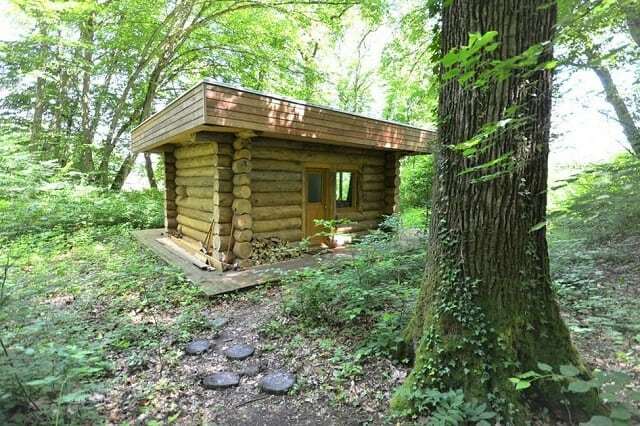 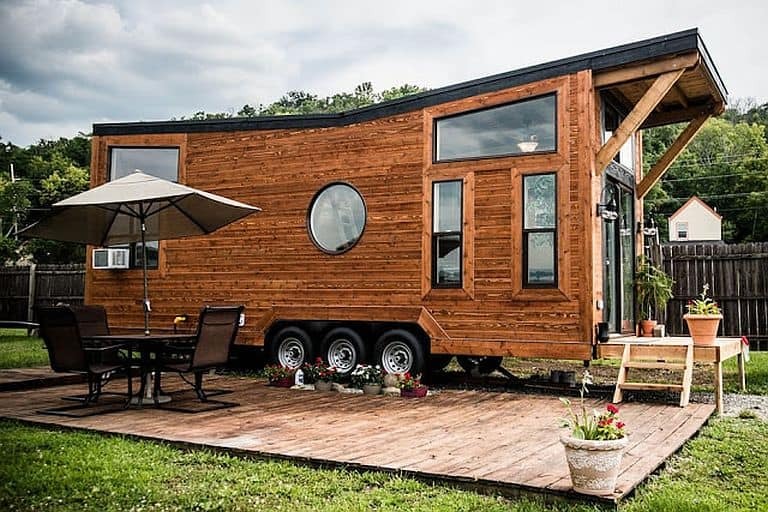 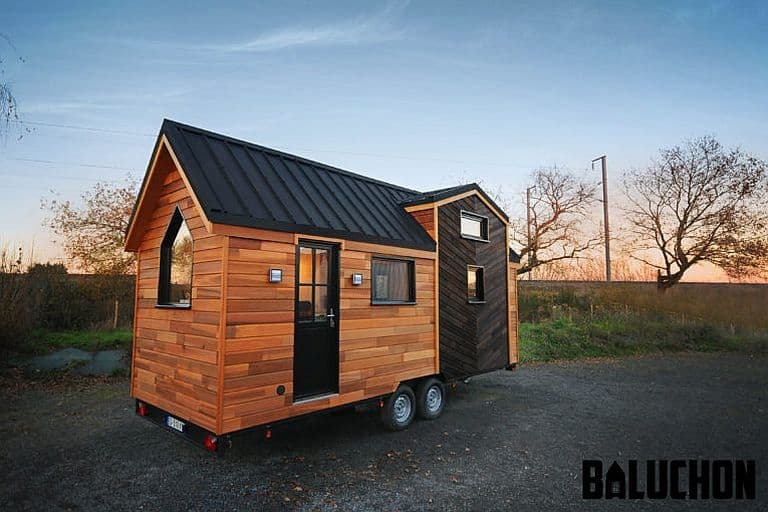 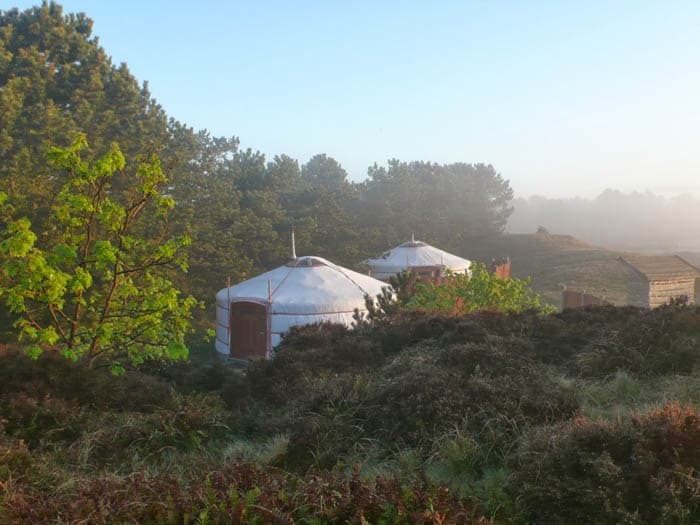 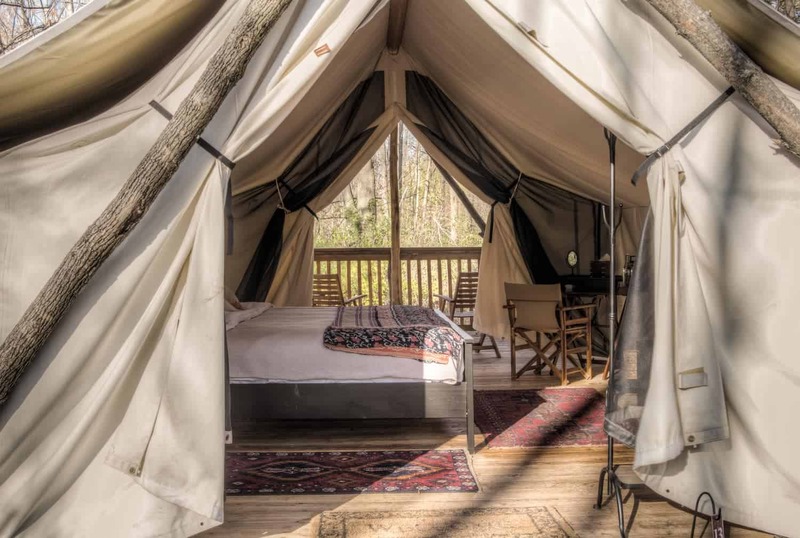 A lot of “glamping” destinations tend to emphasize the glam at the expense of the camping and there remains a disconnect between the idea and the reality that accompanies it. 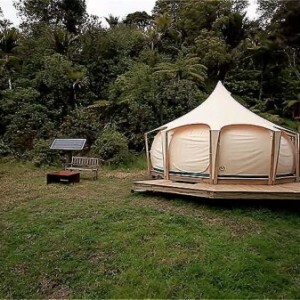 Guests don’t usually stay in anything resembling a tent, and they don’t pay anywhere near campsite prices. 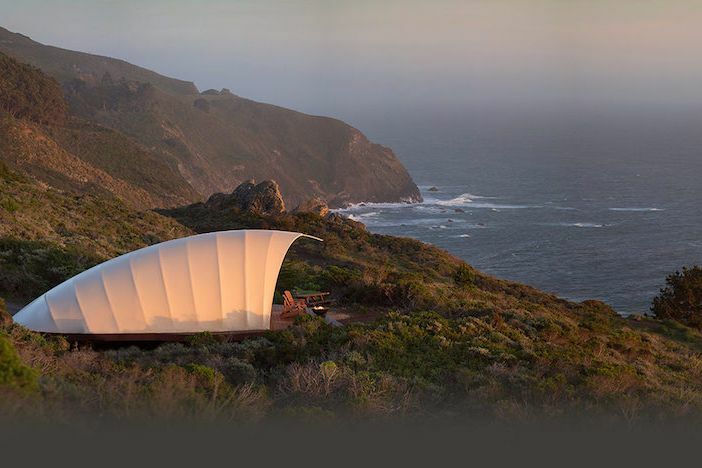 The romantic notion of re-connecting with nature and finding solace in its peaceful beauty is often lost as a result. 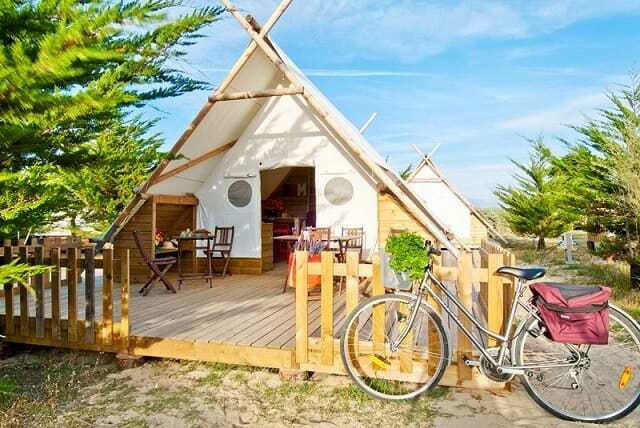 Here’s one with a little more balance: Domain Les Moulins, a resort campground on Île de Noirmoutier off the Atlantic coast of France. 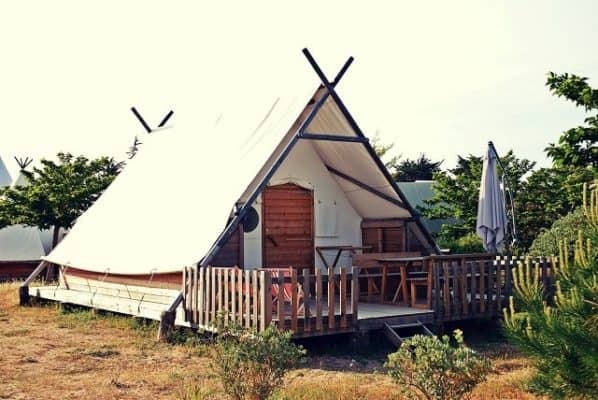 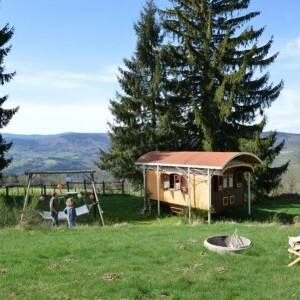 Among other options, they offer some very attractive canvas tents on sturdy wood frames for just €65 per night / €325 per week in the spring and autumn (summer prices are higher). 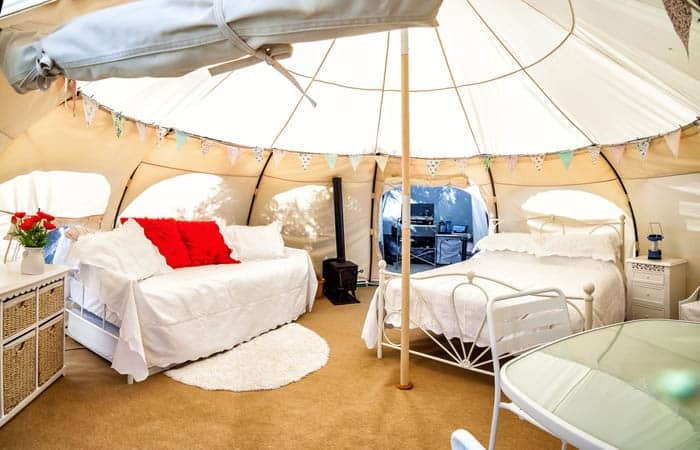 The kind of atmosphere you can only get by camping . . .
. . . without the hassle of setting up your tent and cooking outdoors. 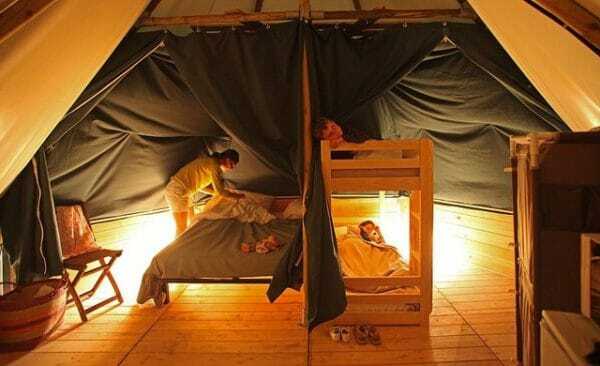 One of the tents includes a bunk bed, perfect for families. 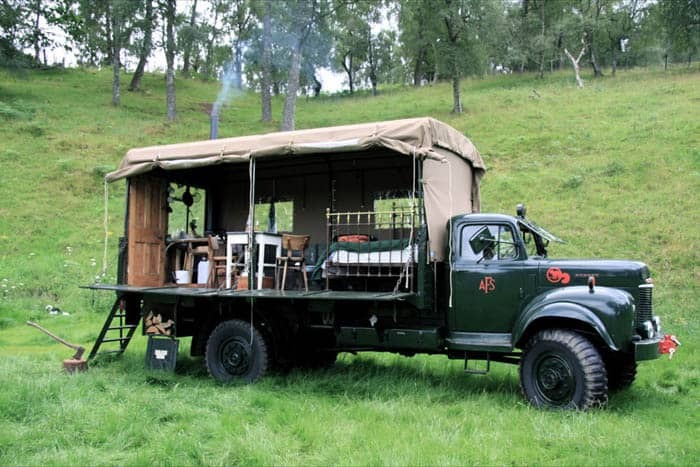 After a ride around the island, a leisurely lunch on the deck awaits. The Tipi tents sleep four, can be divided into two bedrooms, and have complete kitchen facilities with refrigerator, gas stove, microwave oven, and all necessary cookware and utensils. 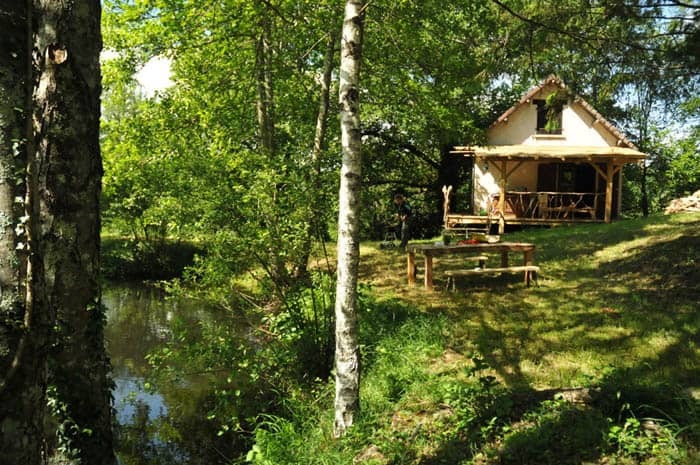 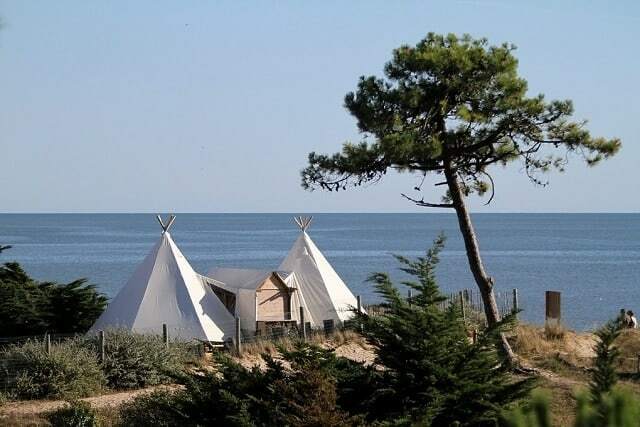 It’s true camping luxury, and a truly great place from which to explore the castles, sandy beaches and old fishing towns of the Vendée region.